"Choose your side of The Force." 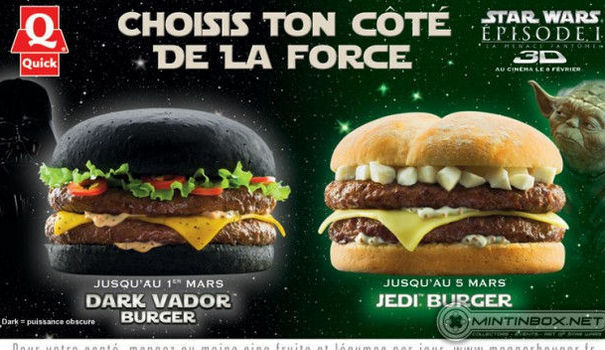 To promote the re-release of "Star Wars: The Phantom Menace" in 3D, the France- and Benelux-based fast food chain Quick is launching the Darth Vader Burger on a Sithy black bun. A less frightening looking (read: boring) Yoda Burger will also hit select locations through March 1.